Kaboora, Afghanistan’s Emmy-nominated production house, works with a wide range of international and local stakeholders to produce high-quality content for broadcast, special events, movies and documentary. Its clients include Afghanistan’s leading broadcasters and a range of UN agencies, corporate clients and brands such as Coca-Cola, Nestle, Etisalat, Unilever, Azizi Bank and Roshan. 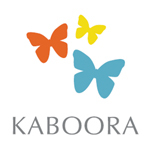 Kaboora works with a range of local and international producers, creative directors, cinematographers, scriptwriters, designers, camera teams, actors and composers. Projects include producing the local version of Sesame Street, Afghan Star, Deal or No Deal as well as two award-winning series “The Secrets of this House” and “Eagle Four”. It also provides casting and logistics services for global entertainment companies filming in Afghanistan. These include “The Kite Runner”, Atiq Rahimi’s “The Patience Stone”, and the feature-length film “The Journey” in 2016. It co-produced the moving documentary Afghan Star, which won two awards at the 2009 Sundance Film Festival.